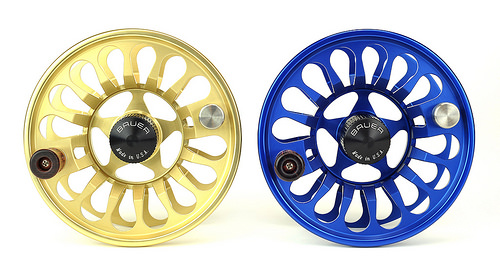 Get the versatility of several fly lines with a quick change of these Bauer RX Fly Spools. Full sink, sink tip, and floating lines, you can have a spool for each and adapt to the weather and changing conditions of the day. 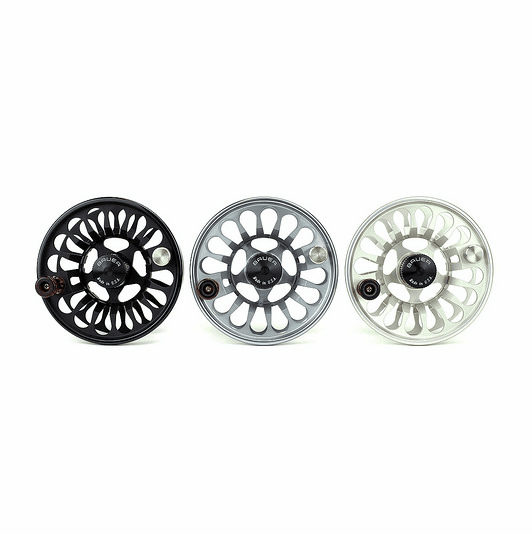 All the specs are the same as the RX Fly Reel page. Some sizes and colors vary in price. RX1	3/4/5	WF5+(50yds20#)	3.7 oz. 3.00"
RX2	4/5/6	WF5+(100yds20#)	4.0 oz. 3.25"
RX3	5/6/7	WF6+(125yds20#)	4.5 oz. 3.5"
RX4	6/7/8	WF7+(175yds20#)	5.6 oz. 3.75"
RX5	7/8/9	WF8+(220yds20#)	7.8 oz. 4.0"
RX6	9/11/12	WF10+(350yds30#)	8.6 oz. 4.25"
RX7	11/12/13	WF12+(450yds30#)	9.3 oz. 4.5"